Housekeeping: Household tasks can become challenging for older adults to manage. Housekeeping services performed on a daily, weekly, bi-weekly or monthly basis, covering tasks like vacuuming, doing dishes, laundry, changing beds, dusting, preparing meals, and more can lessen stress and enhance health and quality of life for older adults. Companionship: Oftentimes, a senior who lives alone feels isolated and lacks social stimulation. Older adults can benefit from having a companion caregiver for several hours each day to interact in fun activities together or simply to spend time with and share friendly conversation. Companionship care includes help for those who live alone, but will provide a safety net for those who are experiencing confusion or have memory loss, permitting family members to take a break and know their loved one is receiving the best care. Personal Care: Discreet, respectful assistance is needed for many older adults to safely bathe, use the toilet, and get dressed. Personal care services also cover help with eating, walking, transferring from bed to chair, and supplying medication reminders. Overnight Care: For older adults who wake during the night, an overnight caregiver on hand can provide needed assistance with getting out of bed to use the toilet during the night, to provide conversation and calming activities to help with falling back to sleep, and with specific nighttime requirements for seniors with Alzheimer’s disease who are experiencing sundowning. Transportation: Escorted transportation services are ideal for seniors who no longer drive, providing the chance to get out and enjoy activities, classes, and events in the community, shopping, medical appointments, visits with family and friends, etc. Geriatric Care Management: Geriatric care management services supply extra help with ongoing home management that falls outside of the services of a direct care provider, such as transferring into another living arrangement and the closing up of a household. 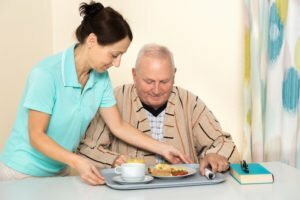 With an in-home care consultation, provided at no cost, the caregivers at Hired Hands Homecare can help you determine what in home care services will best benefit your senior loved one, helping him or her to remain in the comfort of home safely with as little or as much support as required. Call us at (866) 940-4343 or contact us online to learn more about out in home care services in Pleasanton and the surrounding area.